Liverpool have a small price to pay for Joe Gomez’s success on the international stage with England. The defender made his senior debut in Friday night’s 0-0 draw with Germany, coming on as a first-half substitute for the injured Phil Jones. His surprise call-up earlier this week served as a deserved reward for the fine form that has helped him hold down a place in Jurgen Klopp’s first team this season. 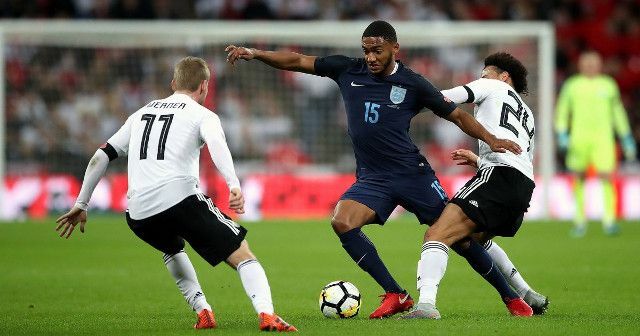 Thanks to a clause in Gomez’s Liverpool contract, his former employers Charlton will receive £250,000 from the Reds after the 20-year-old made his England debut, reports the Mirror. Gomez signed from the London club for £3.5million back in 2015 and quickly earned a spot in Brendan Rodgers’ starting eleven. His impressive start to life on Merseyside saw him promoted to England’s U21s by Gareth Southgate, who was manager of the Young Lions at the time. The England manager’s knowledge of those who have progressed through the youth ranks bodes well for the likes of Gomez when it comes to earning more opportunities. It was only a few weeks ago that Gomez was named U21s captain, recognising the extent of his incredible comeback from his season-ending knee injury towards the end of 2015. Here’s to many more Wembley outings for Liverpool’s talented youngster.